Read “The Student View,” USC Rossier’s series of student blog posts. 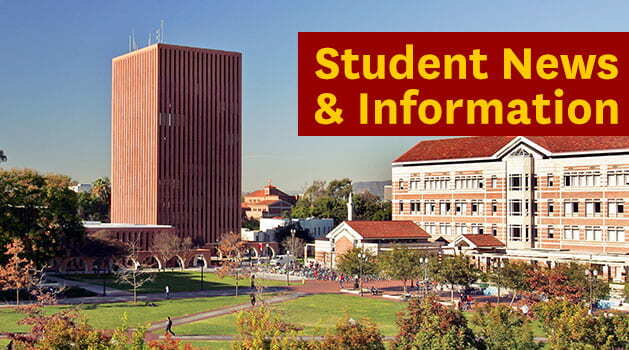 Being a successful doctoral student at the University of Southern California requires knowing and following many academic policies and procedures. Accomplishing certain tasks requires the use of necessary forms and contact with multiple campus offices. Located here are resources and forms you will need as you proceed through the program. The Master’s Programs office strives to assist and support our students, faculty, and staff by: maximizing student/staff potential, developing student’s career pathways, and providing opportunities for professional development for staff and adjunct faculty. We meet these goals by maintaining high standards and frequent communication in a positive, green, tech savvy and diverse environment. Located here are PDF and Word downloads of some of the forms you will need as you proceed through the Master’s Program curriculum. The Rossier Student Organization (RSO) was formed in 1968 as a forum for the exchange of student ideas and for the planning of student activities. All graduate students in the USC Rossier School of Education are automatically members of the organization and are encouraged to participate in its activities and programs. Our goal is to promote research efforts of education students through reimbursements for conferences, and sponsor social activities for graduate students to come together, so they can make the most of their experience at USC. Also available: a list of USC Rossier Student Organizations.